Photos from sellers on one of the floating markets in Thailand. People selling bananas and hats. 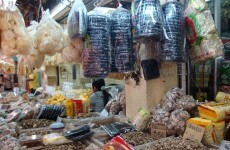 In the past there where many floating markets, because there was much more water than now. 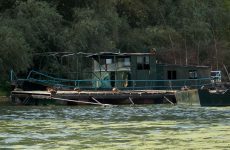 Later many of the waterways have been filled in and the markets are now often tourist focused. 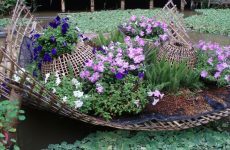 Floating market Thailand. 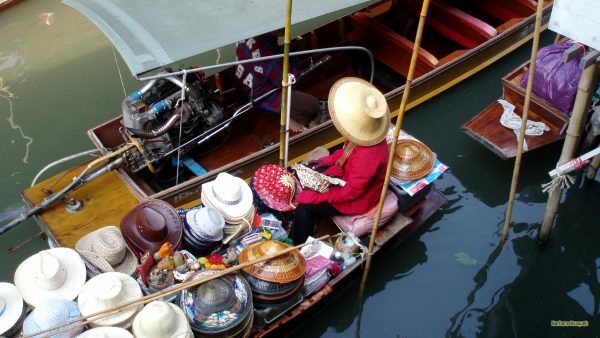 With a woman selling hats. 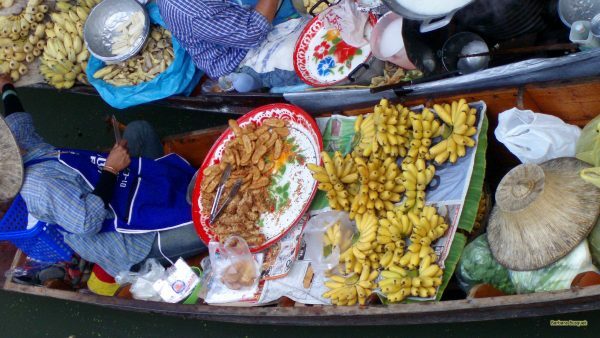 Someone selling banananas at a floating market in Thailand.